Join the History of Mystery Class when we meet to discuss author (and guilty pleasure) Mickey Spillane. We'll be focusing on his book One Lonely Night, followed by a screening of a short documentary about Spillane's life and career. This meeting is free and open to the public. All are welcome. If crime fiction is your thing, be sure to check out the MysteryPeople blog. 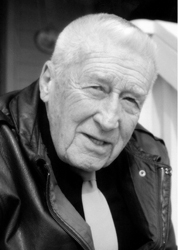 Mickey Spillane is currently considered a "single author." If one or more works are by a distinct, homonymous authors, go ahead and split the author. Mickey Spillane is composed of 11 names. You can examine and separate out names.